Shipping is calculated with UPS Rates. If we can find a more cost-effective shipping method we will mail you a check for the difference. 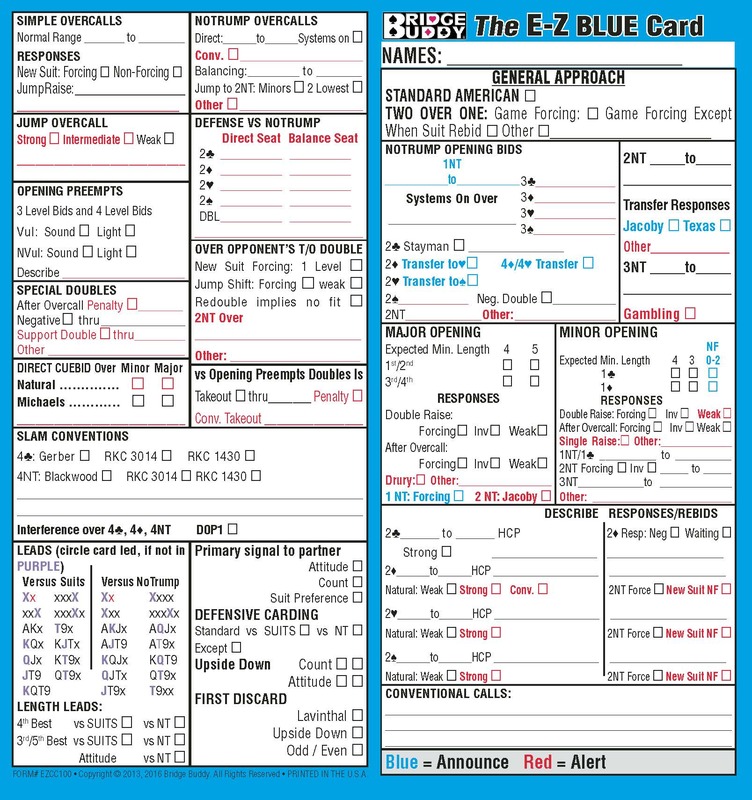 Click on the link below to open the EZ Blue Card Editor in your browser. You can fill in the form and print it right from your browser. To be able to save your changes, you must first download/save the PDF to your computer. To do so, simply right click on the link and select "Save link as..." which will allow you to actually download the pdf form. Once downloaded, open the file from your computer. Make your changes and then click save. Note: To be able to open the file you may need to download and install the free version of Adobe Reader. Copyright © Bridge Buddy. All Rights Reserved.